Almost everyone sweats, but now there is an easy, non-invasive solution to treat those who don't want to apply antiperspirant every morning as a solution to armpit sweat and odor. Dysport/Botox/Xeomin when injected into the underarms, prevents sweat production – it relaxes the tiny muscles responsible for releasing sweat. Hyperhidrosis can be a very embarrassing problem, with up to 7.8 millions of adults suffering in the USA. 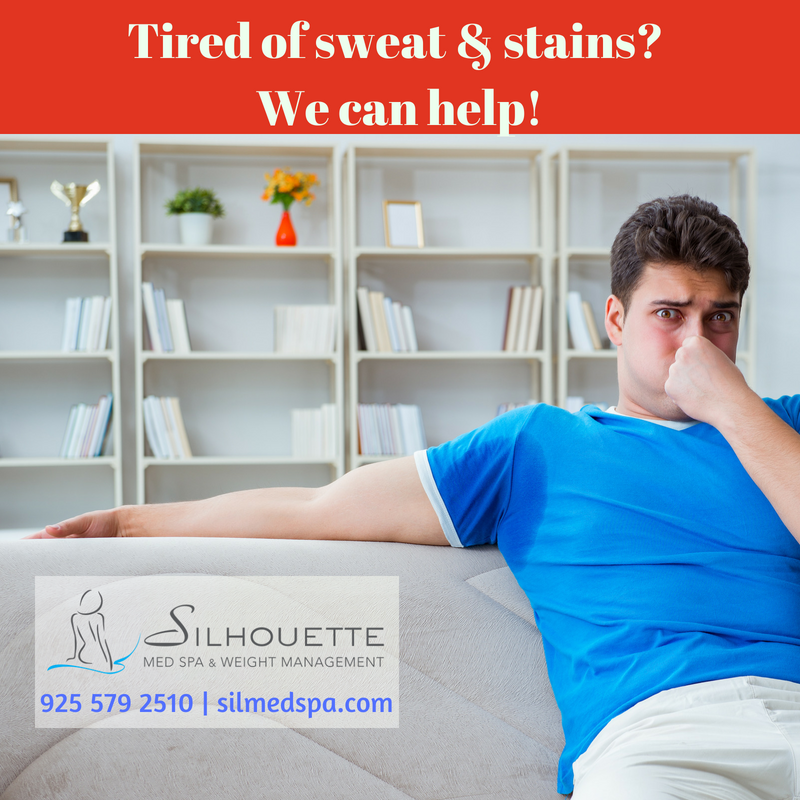 Excessive sweating is not only visible on clothes but can also cause an intense and unpleasant body odor. Tiny amounts of Botulinum are injected through an ultra-thin needle into the areas affected and work by blocking the effects of the nerves that cause hyperactivity of the sweat glands. You will be asked to shave your armpits the day before. The consultation should take about 30 minutes, and you will be invited for a follow-up appointment after 2 weeks when any areas that require further treatment can be injected at that time. You can generally expect the effect to last for 4-8 months, though the actual period will vary from person to person.